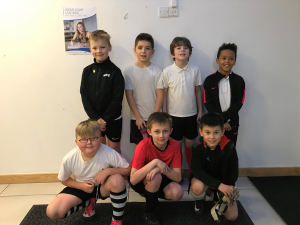 On Thursday 7th February, seven children from Year 4 and 5 took part in a Futsal Tournament at Bridgwater College. I hear some of you asking, “what is futsal?” so I will try and explain very simply…it is indoor football with no throw in’s; instead the ball is passed back in to play and time limits of 4 seconds are in place when the ball goes out of play or the goal keeper has the ball in their hands. 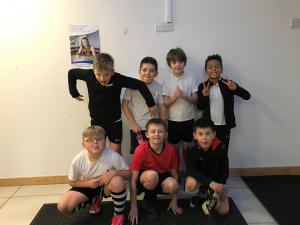 Our children became accustomed to the rules extremely quickly and played exceptionally well – fighting for every ball, showing commitment, passion, pride and enthusiasm in representing our school. Well done to Jermaine, Jay, Travis B and Travis W, Lucas, Connor and Charlie. You were all amazing and made Miss Bryant so proud! We won one match (against our local rivals Eastover! ), lost two and drew two matches.